The most recent car booking in Mlada Boleslav has been made on our website 3638 minutes ago. In Mlada Boleslav, we offer for rental 4+ car categories from 2+ rental suppliers. Low prices. OrangeSmile.com offers vehicles for rent in Mlada Boleslav at guaranteed low rates. We are able to offer the best rates since we work with our car suppliers in Czechia directly, and besides that, we select and provide you only the most beneficial offers at the time of your search. Rental conditions. To rent a car in Mlada Boleslav via OrangeSmile you should possess a valid credit card and a driving license for more than one year without serious accidents. Prior to reservation completion, please read the rental conditions for your selected vehicle. Picking up your vehicle. All the information and the address of your rental office in Mlada Boleslav will be specified in your voucher. Upon arrival, you are expected to present your voucher, driving license and credit card. Please make sure that the invoice and other documents, obtained from the rental officer, are correct and do match with your voucher data. Do not forget to inspect the car prior to taking it from the parking lot. Delivery. When returning your car to the rental location in Mlada Boleslav, check with the desk that they have no claims regarding the vehicle, and all the rental papers and the receipt are in your possession. We wish you a trouble-free driving around Mlada Boleslav! 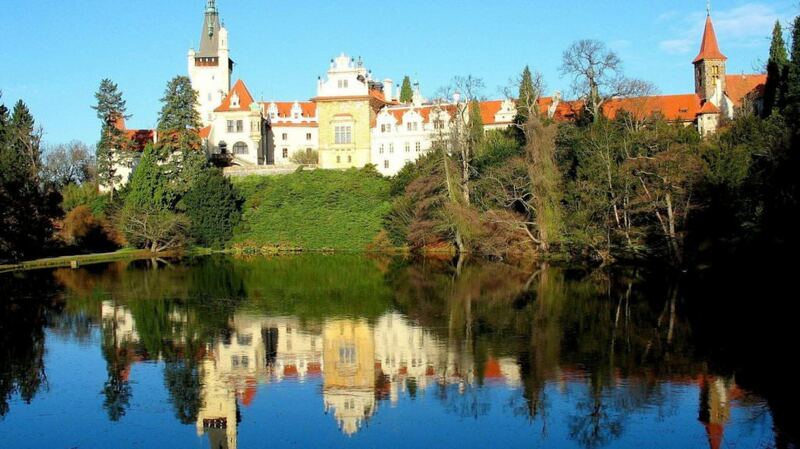 The enchanting town of Tabor is a perfect place for excursion tourism. Its old streets have excellently survived to this day. The historical district is a pedestrian zone, so it is very convenient to walk and relax here. In the building of the old town hall, there is the Hussite Museum that houses the collection of historical exhibits. Another interesting place is Zizkovo Square where 12 historic streets end. Today, there are several symbolic monuments on the square. Pelhrimov is famous not only for its rich historical values, but also for medieval brewing traditions. In the 16th century, the first brewery was opened here. Now, popular beers are still brewed in accordance with old recipes in the town. Interesting themed excursions are organized for fans of beer. You can also visit here amazing pubs. The most famous pub in the town is historical U Vlasaku.